Despite the prevalence of depression in the population, the devastating impact it can have, and the rise in public awareness in recent years, schools (and society at large) still find depression a taboo. Something which is often ignored and misunderstood. Where support is available wonderful things can happen mitigating some many of the pressures when the black dog comes barking. While a societal shift is needed, there are many, often small things that educators can do to help those who need help. 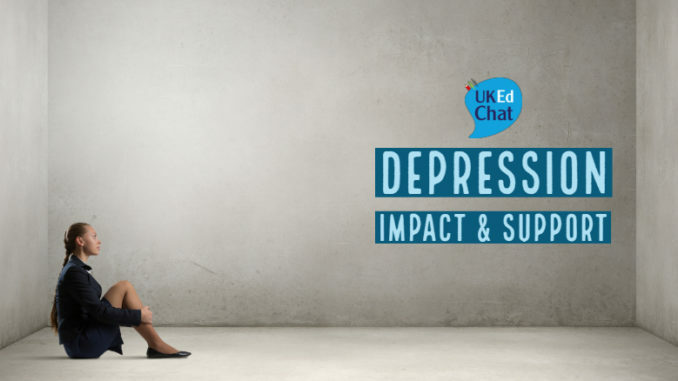 In this #UKEdChat we will discuss what is (and isn’t) depression, signs to look out for, and how to best support colleagues and pupils who need support. Does your school have formal procedures to help staff help someone showing signs of depression? Policies? Dedicated member of staff? etc. What training have you had in identifying and supporting people with depression (and wider mental health)? What are the signs of depression and how can staff work together to identify it? How can staff support each other to attempt to lessen/negate some depressive episodes? If that is their choice, how can staff support a member of staff who wants to continue teaching through a period of depression? 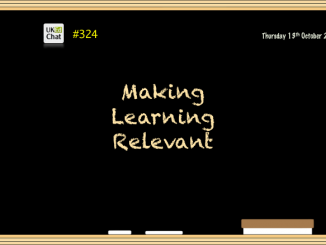 How can we support teachers who choose to leave the school temporarily because of depression? 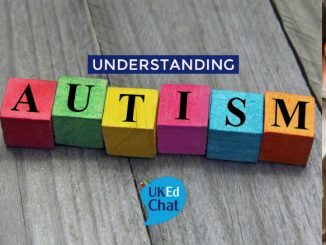 How is support for depression in pupils different to supporting staff members? What advice what you give to teachers who are supporting someone with depression?